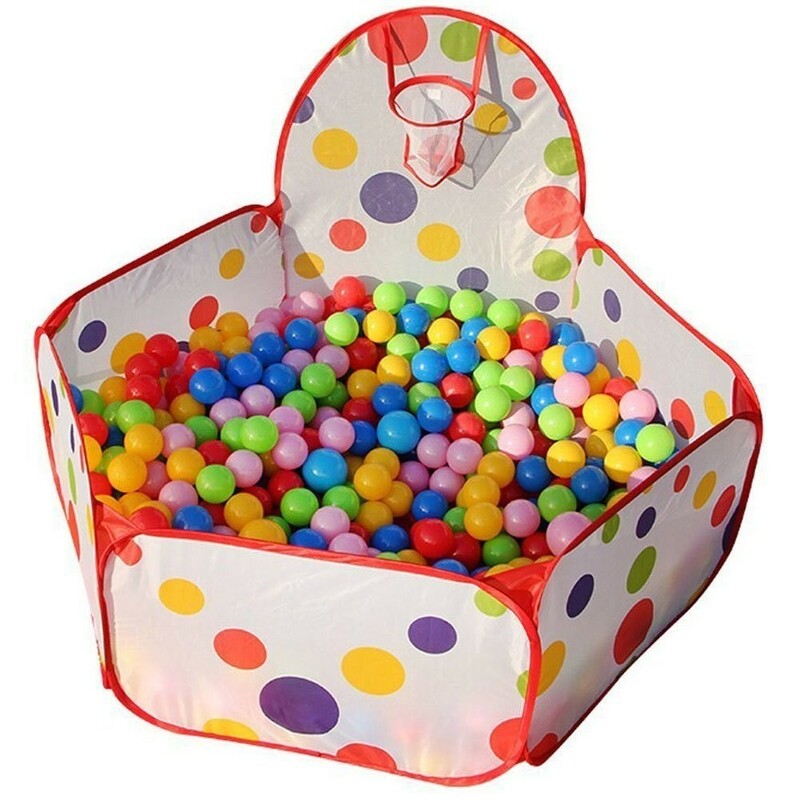 Ball pool for young children! 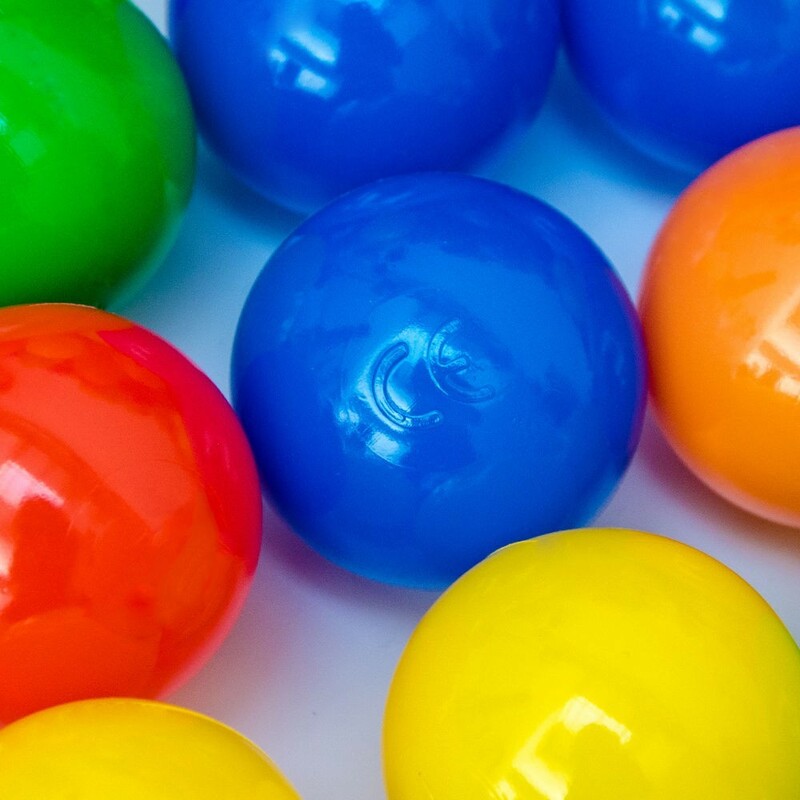 This closed ball pool is delivered with 200 colourful balls for plenty of fun. 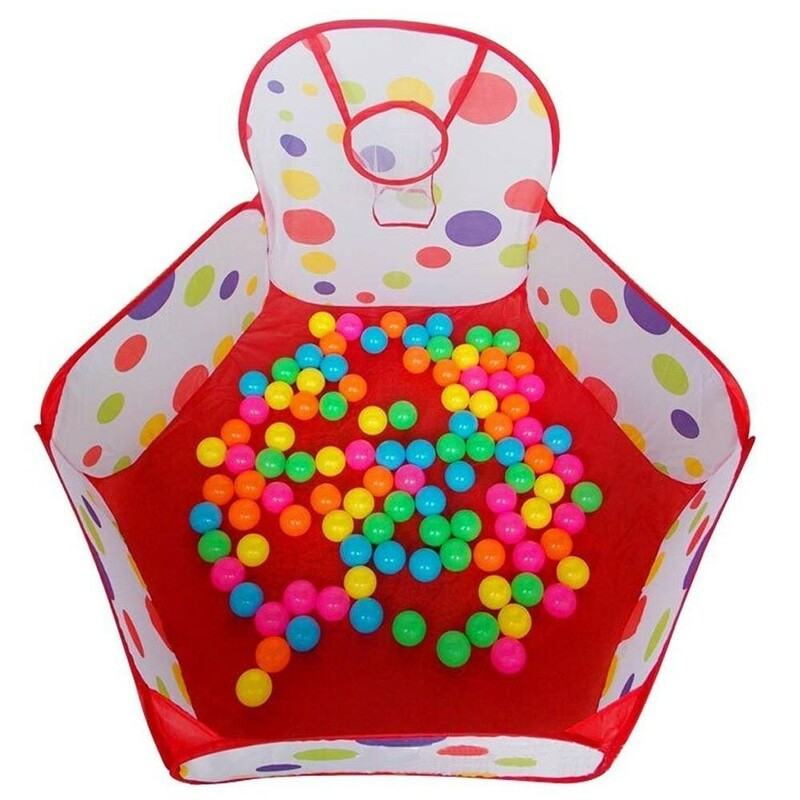 Especially designed for children from 18 months, this ball pool will allow your young children to have fun in a safe space. 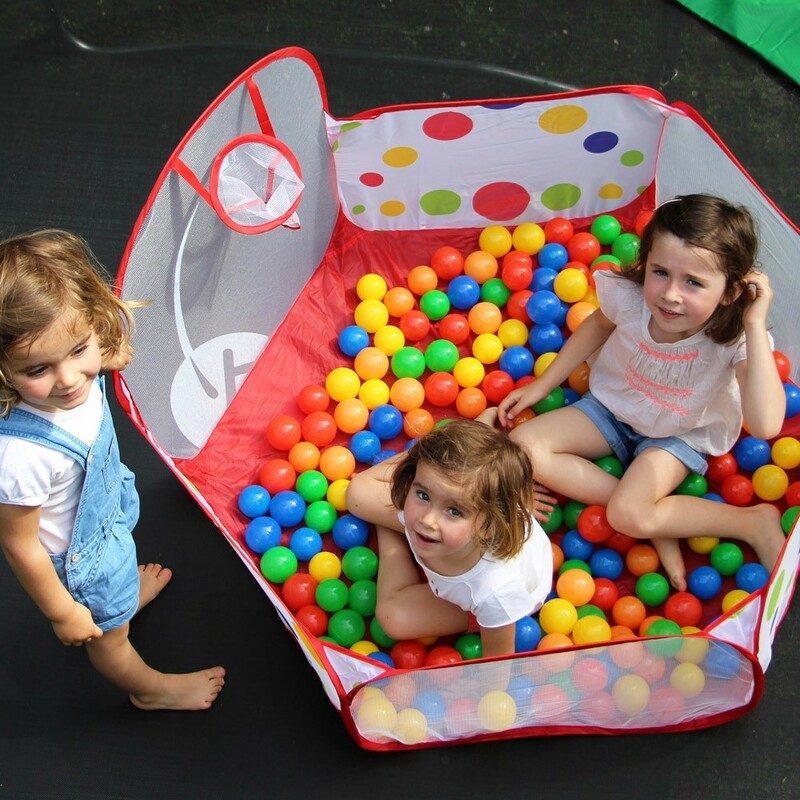 Easy to mount and to fold, the ball pool can be set up outdoors or indoors. The pool is also equipped with a small hoop to practice throwing skills. - The structure is designed like a quick-to-install tent. 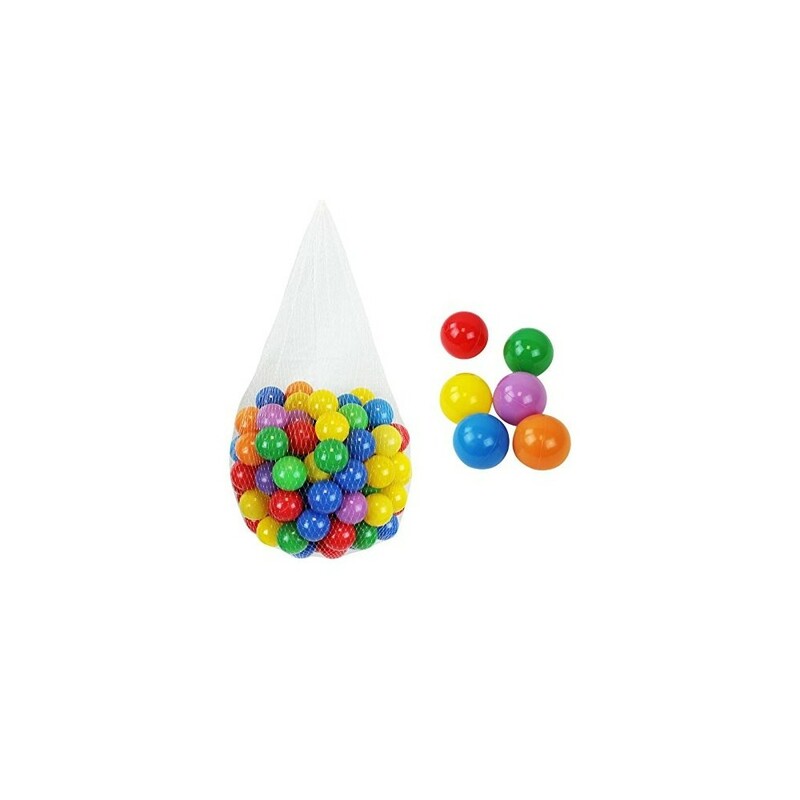 Once unfolded I measures 1.50 x 0.75 x 0.90 m. It can contain up to 500 balls. 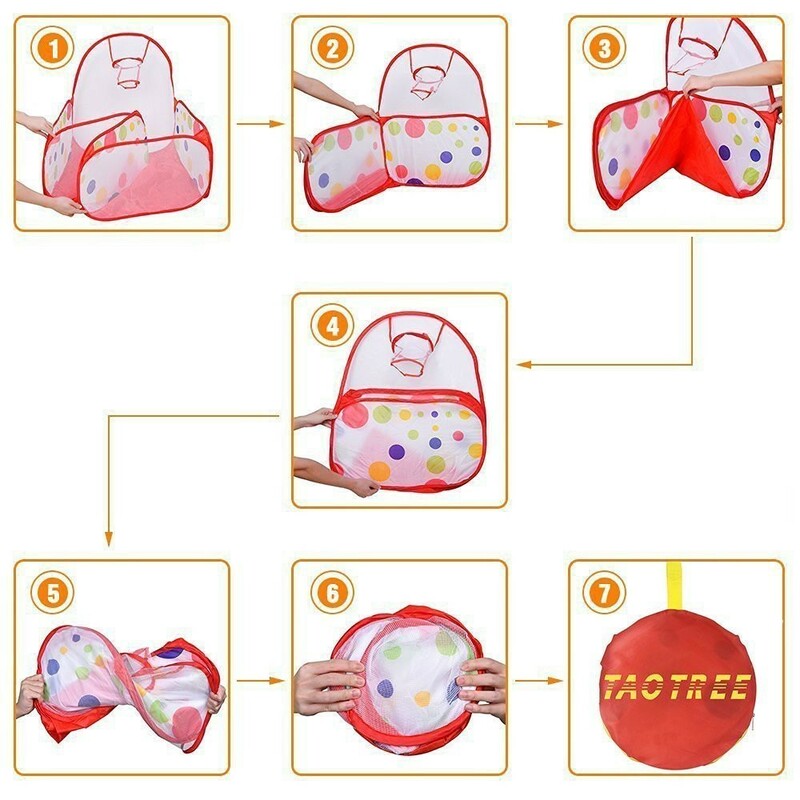 The pool is easy to install and unfolds directly when taken out of its travel bag. - Once folded, the tent slips into a travel bag that measures 30 cm in diameter, for a total weight of 422 g. Practical and small! 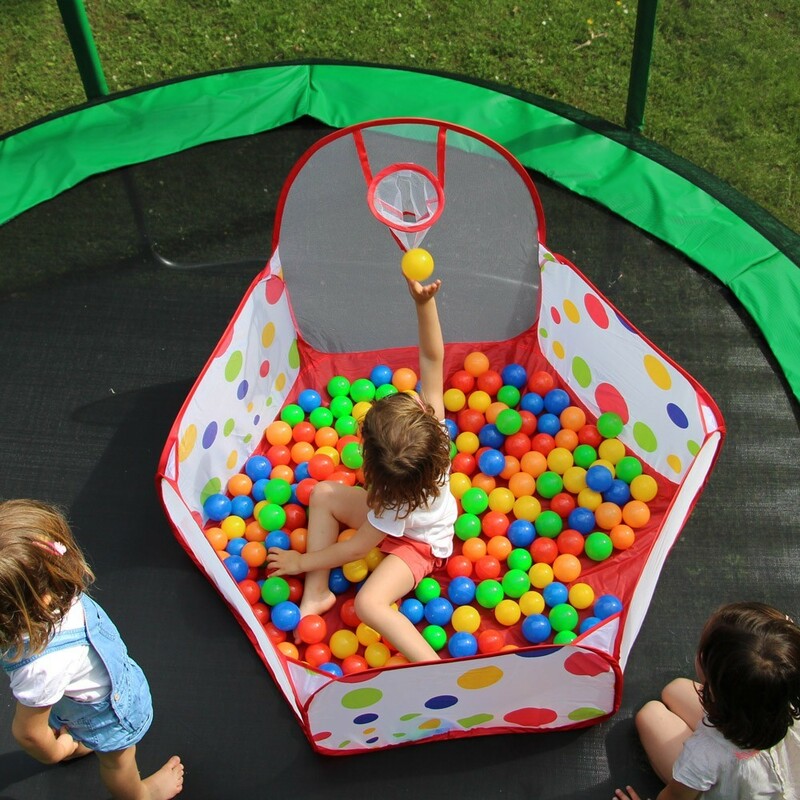 - The tent is equipped with a removable basketball hoop which attaches with a Velcro band. 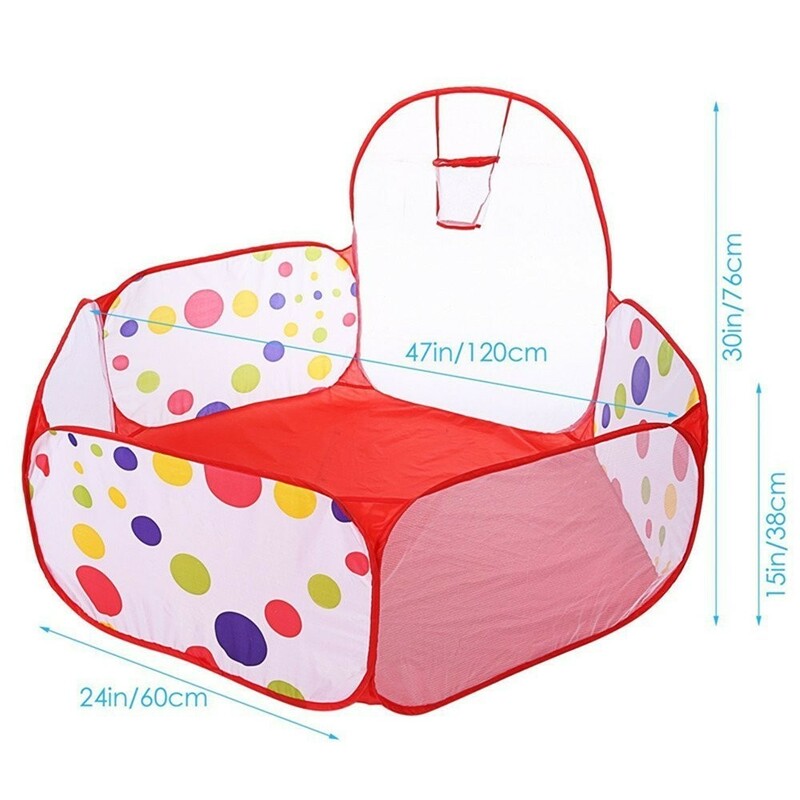 - The structure is made with waterproof polyester fabric, allowing you to leave the pool outside. The fabric can be cleaned with the wipe of a sponge. 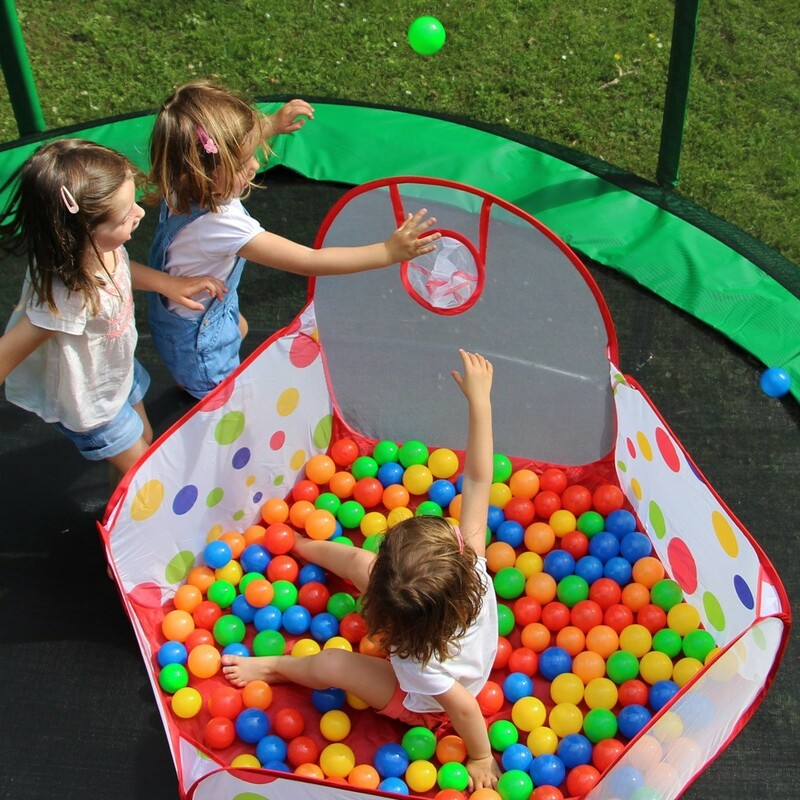 - The structure has no pointy edges or corners, allowing you to leave your children to play safely.